How Is a Food Truck Insurance Rate Determined? What Does Food Truck Insurance Cost Anyway? From a truck to a cart, equipment to employees, menus and venues, the field of the food truck business is broad with no two businesses alike. And with any unique food business, there’s really no set formula when it comes to estimating the cost of insurance. For example, the type and amount of insurance varies greatly from state to state and city by city. And a $3,000 food cart will most certainly cost less to insure that a $75,000 retrofitted truck. For these reasons and more, there really isn’t an easy way to answer the question of how much food truck insurance will cost, and what you could be looking at to insure your business. These are just a few of the many differentials that can factor into your insurance costs. Talk to your insurance agent to make sure you have accounted for the coverage you need and be sure to compare rates from at least three carriers. 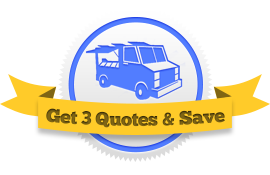 At Food Truck Insurance HQ we can help you find affordable and competitive rates for your food truck business, along with the expertise to help you control costs. After all, food trucks are our specialty!